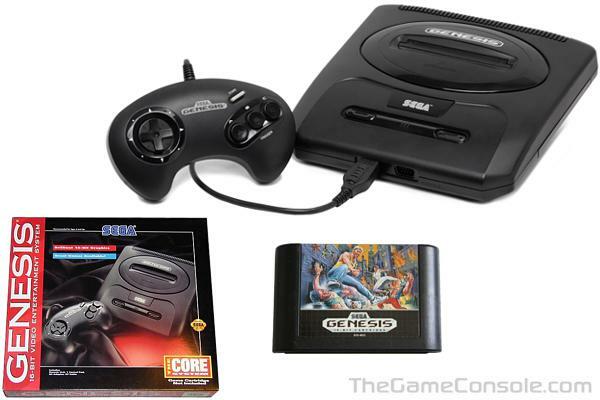 The Sega Genesis 2 Unit was released in 1994 and was nearly the same as the Sega Genesis released in 1989. The new unit was absent of a headphone jack and volume control and used a non standard RF switch and AC adapter. The pack ins were an AC adapter, RF switch, controller, and the Sonic the Hedgehog 2 game. The failures of the Sega CD and 32X, a lack of effective advertising, and disputes between Sega of America and Sega of Japan had taken their toll on the company. By 1994, Sega's market share had dropped from 65% to 35%, and the official announcements of newer, more powerful consoles, such as the Saturn, Playstation, and N64 signaled that the 16-bit era was drawing to a close. Interest in the Genesis suffered greatly as a result, compounding its already falling sales. In 1996, less than a year after the debut of their Saturn console, Sega quickly brought their participation in the 16-bit era to an end by discontinuing production of the Genesis and its associated accessories.